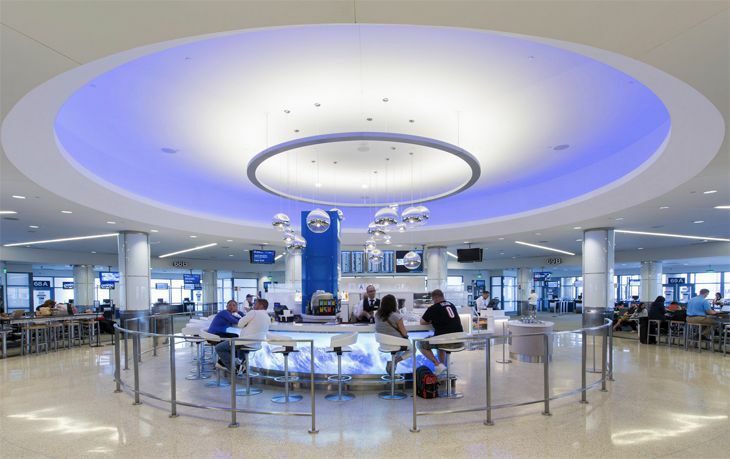 Following up on a redesign and overhaul of its Terminal 2 earlier this year, Los Angeles International Airport has now finished a similar redevelopment of Terminal 6. T6 is used by Alaska Airlines, American, Copa and Great Lakes Aviation. It is connected to Delta’s Terminal 5 by an underground pedestrian tunnel. 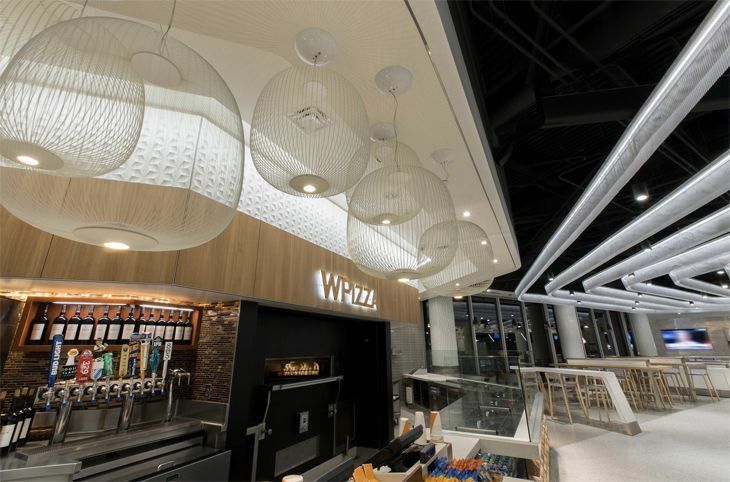 The $70 million, 20-month project – carried out in partnership with airport concessions and design specialist Westfield — brought 21 new retail and food & beverage concepts to the terminal, officials said, with an overall theme “inspired by L.A.’s iconic Sunset Boulevard.” Besides the shopping and dining options, the project also gave the terminal new bathrooms, floors and ceilings as well as new electrical and IT infrastructure. 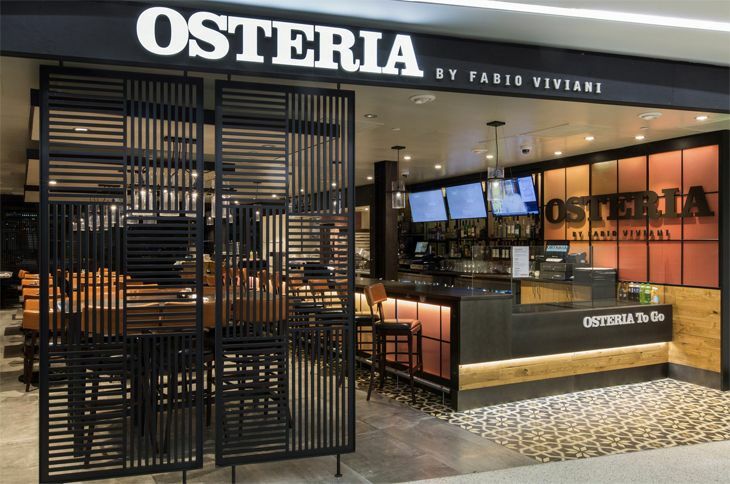 New eating options in T6 include Osteria, an Italian restaurant run by “Top Chef” Fabio Viviani; a multifaceted Marketplace by Wolfgang Puck including The Kitchen, WPizza and The Wine Bar; a restaurant called Blu2o, with “L.A. 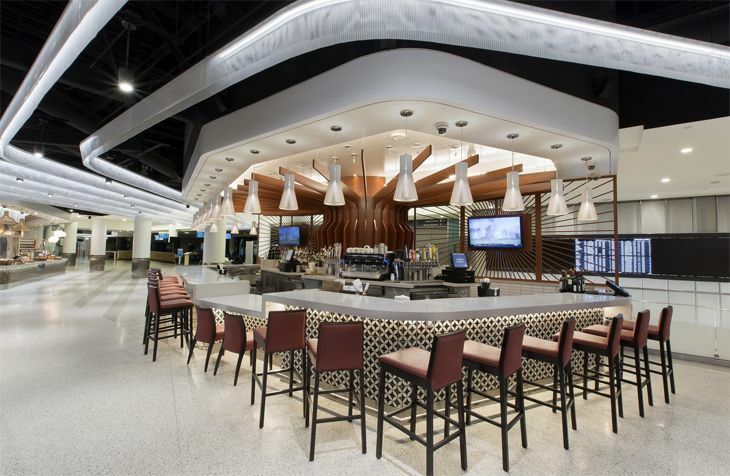 beach-inspired cuisine;” The Habit Burger Grill; a venue called Earthbar, serving up healthy juices and salads; and a Wahoo’s Fish Taco outlet. 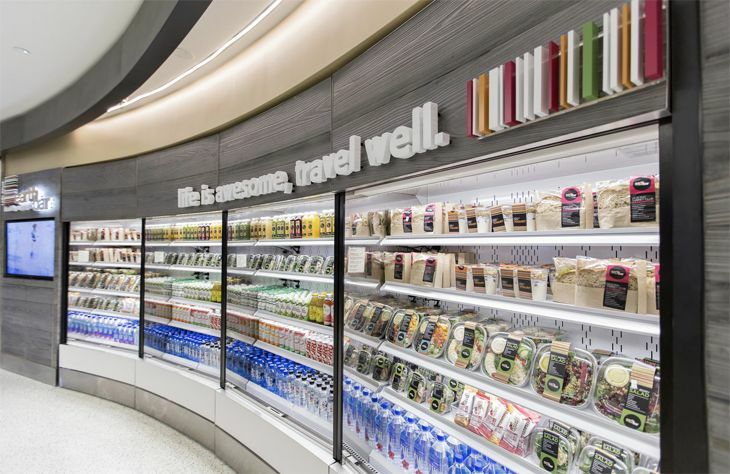 Concessions also include a Peet’s Coffee & Tea; See’s Candies, with 100 kinds of candy and chocolate; a pair of Starbuck’s outlets; and Point the Way Café, specializing in craft beers. 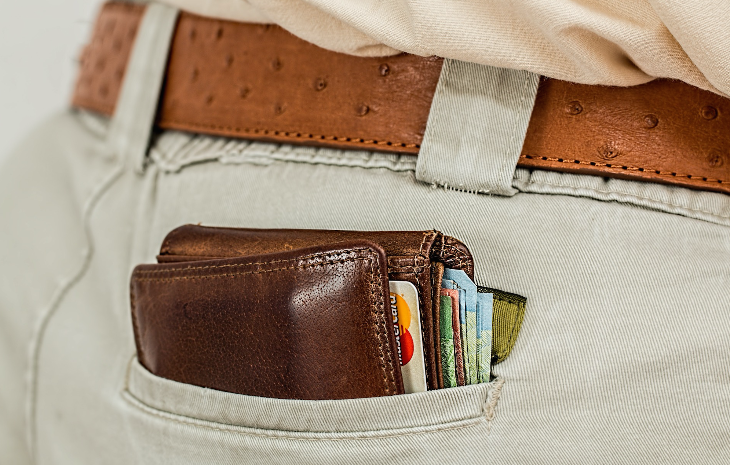 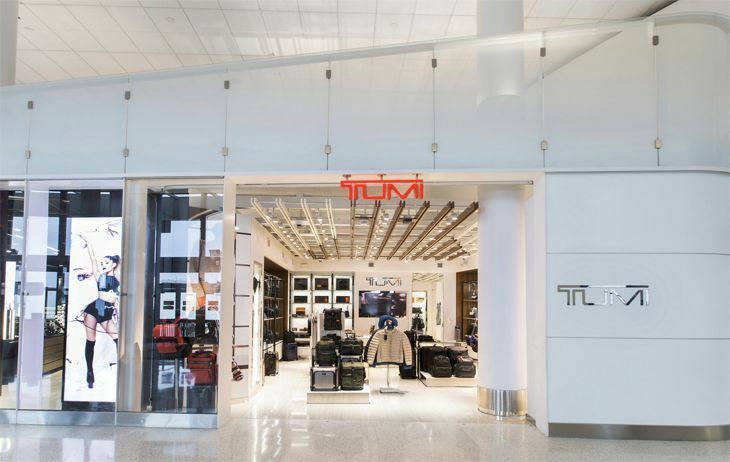 Retail shopping outlets include a Tumi luggage store; Belkin electronics accessories; M. Fredric apparel; a MAC Cosmetics store; and several newsstands/sundries locations.